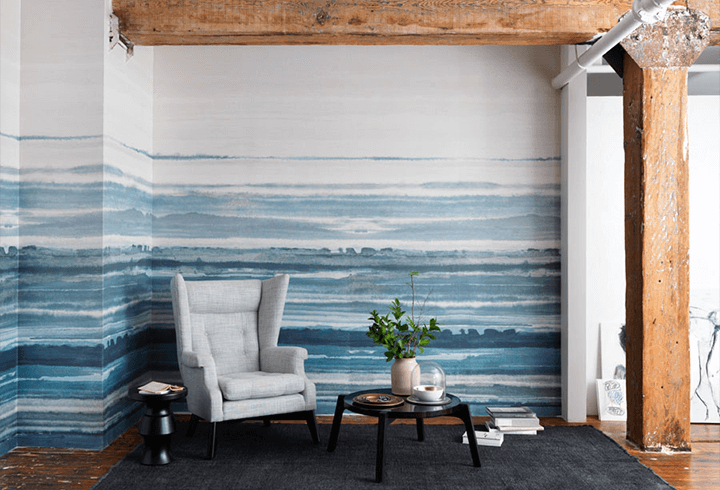 Let’s chat about wall murals…. I’ve been seeing them around more and more and when done right, they are spectacular! I admit I spent way to long looking at them on Pinterest the other day trying to figure out which wall in my house could handle one. 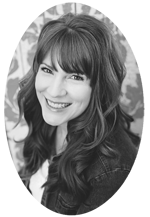 I’m going to share my favorite examples and I think you’ll see why I am crushing on wall murals! How romantic is this misty tree mural? 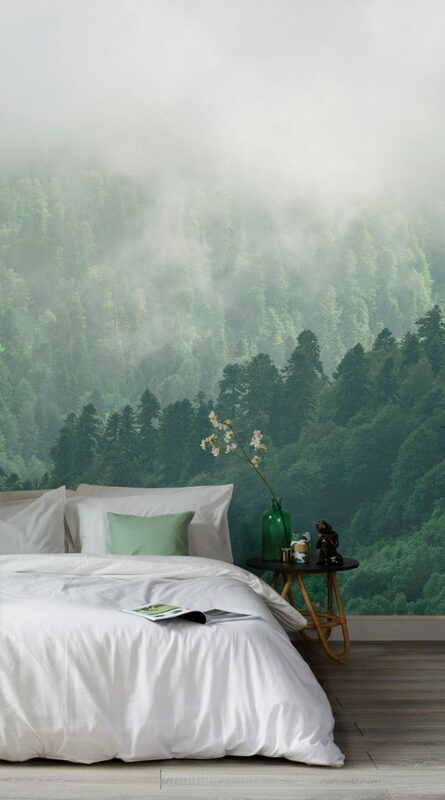 I wouldn’t mind waking up in a forest everyday. One of my favorite things about camping is waking up to the crisp mountain air and the low hanging clouds that make the mountains feel magical. Imagine always having that feel in your room? 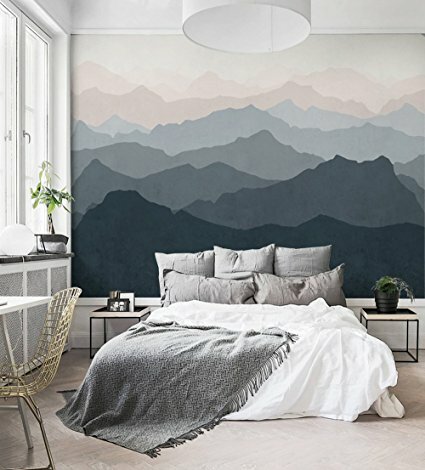 This more modern take on mountains and its ombre effect is stunning. Who wouldn’t love a flower garden that is always in bloom? And in your room no less! 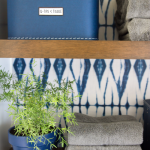 Such a fun and cheery way to brighten up a space! 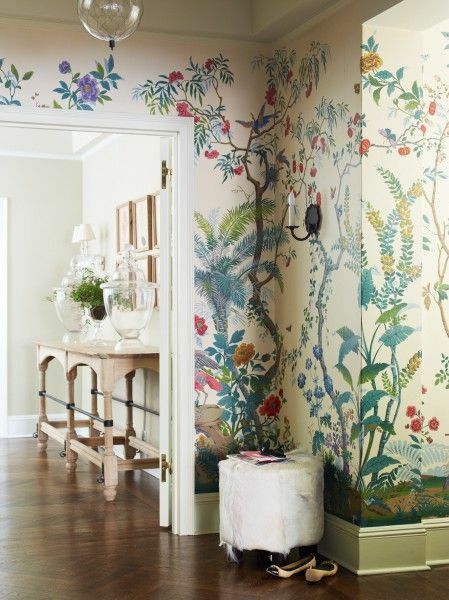 This hand painted mural has a vintage feel and is probably one of my favorite examples. 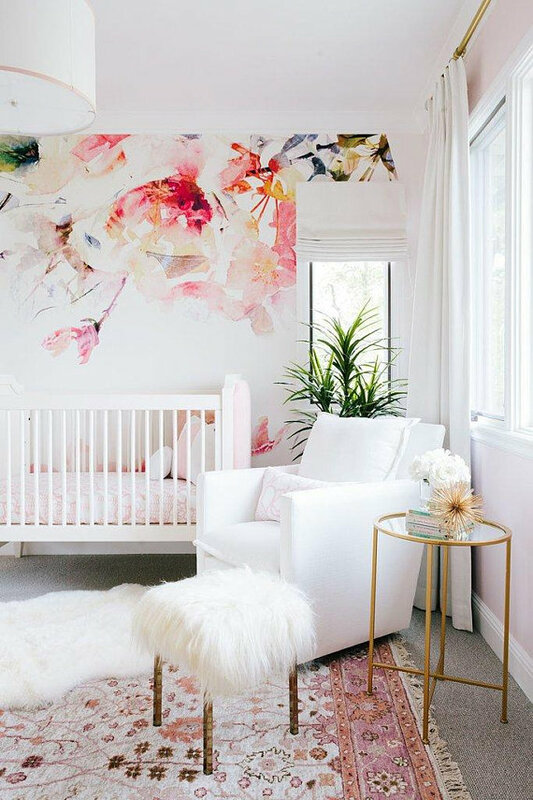 How sweet is this watercolor type mural in this nursery? Maybe it is just me, but I could see that in a bathroom, bedroom, or living room as well! 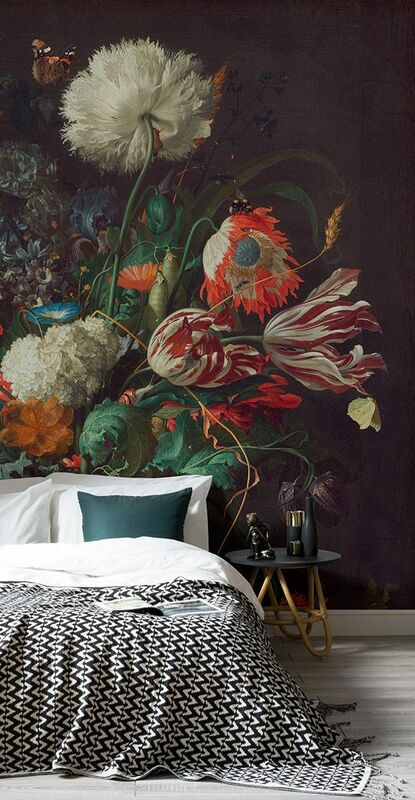 I don’t know if I could pull it off in my own home, but I feel drawn to these dark and moody murals as well. 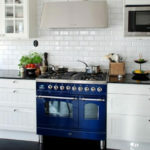 I love the vintage, rich vibe they give a space. It definitely makes a statement! 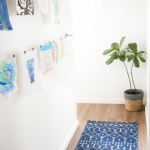 I love framed botanical prints and have them in a few places in my home. 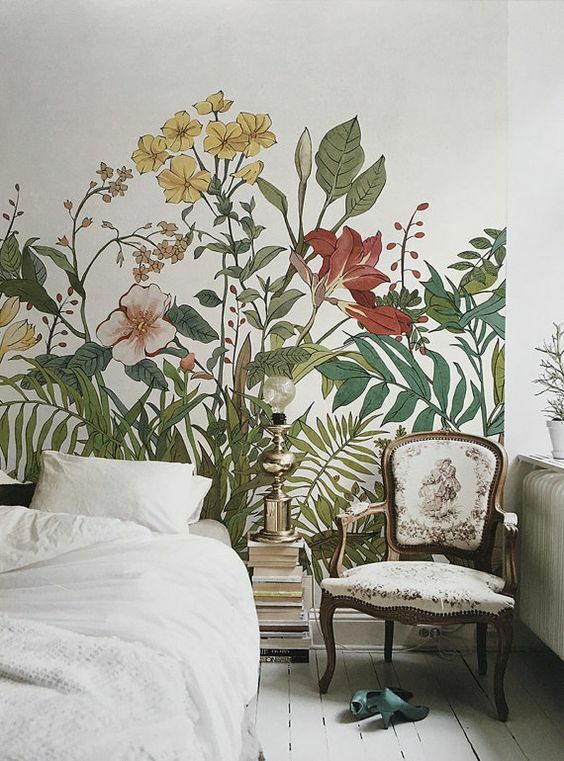 Why not take it a step further and add botanical murals to your walls? And just like the floral examples, there are darker leaf murals as well. This example was my favorite of those and I could see it in my office. I love blue and I love watercolors. These next two combine those two in a bold but soothing way. Is anyone else getting an ocean vibe from this? 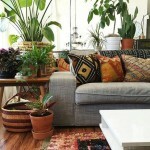 I could easily picture this in my current home. 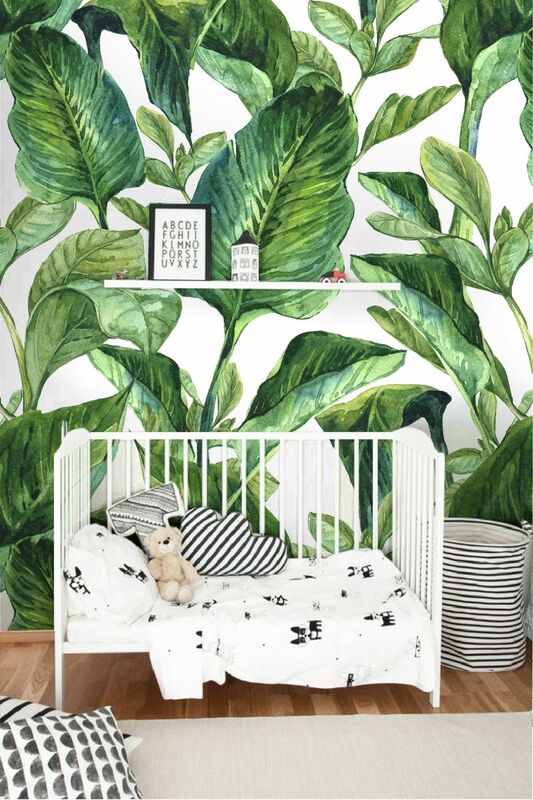 Murals are perfect for kid spaces! 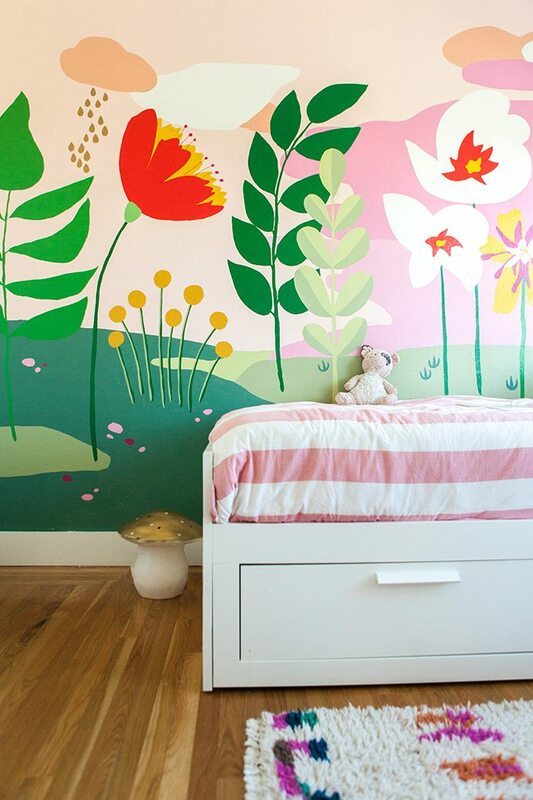 How FUN is this floral mural? It just oozes happy. I considered doing something similar to this in my boys’ room since we love the mountains so much. 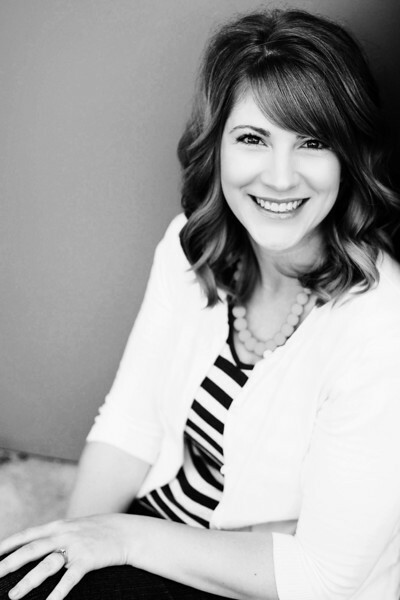 I ended up opting for another mountain inspired project, but I still adore this idea. They are all beautiful…thanks for all the great ideas, I am going to start with a small area, and see if I can make a wall mural work for me. 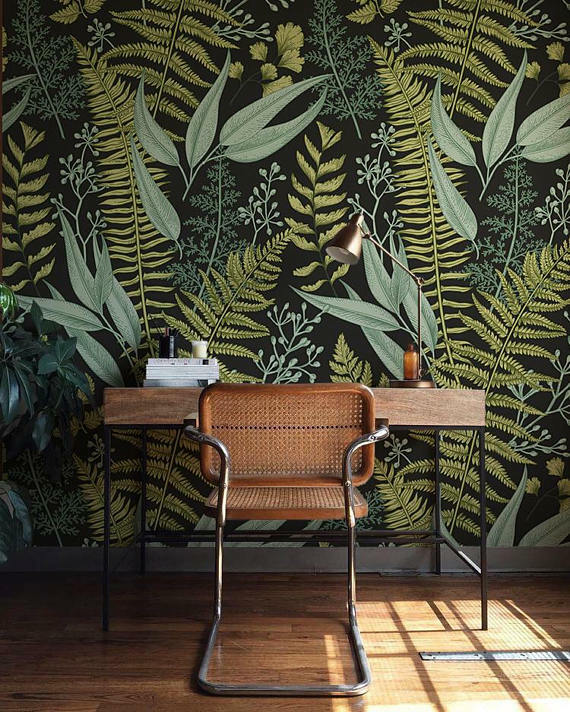 There are no places in our home for a mural BUT I was able to cheer up an office several years ago with 2 walls that brought mountain forests into a VERY DREARY workspace. I hope you have inspired others to experience this. Growing up from the 6th grade on, my parents had a wall mural of the forest in the fall. So, all the leaves were yellow, orange and red colored. Many of the leaves were also on the ground. The carpet was a natural color which worked with the wall, but mom picked out furniture that was interesting. 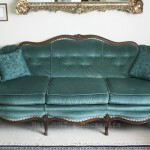 A brown velour couch, which did match, but 2 blue chairs, that had no business being in that room! Maybe my dad insisted on those! Anyway, I grew used to the mural. 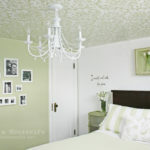 But it was never my favorite room. I would have preferred a GREEN forest! Now, I love light and brightness around me! I really like the blue ocean themed walls as it feels like you are “there”! I know they are just an illusion, but it really has a feel to it! 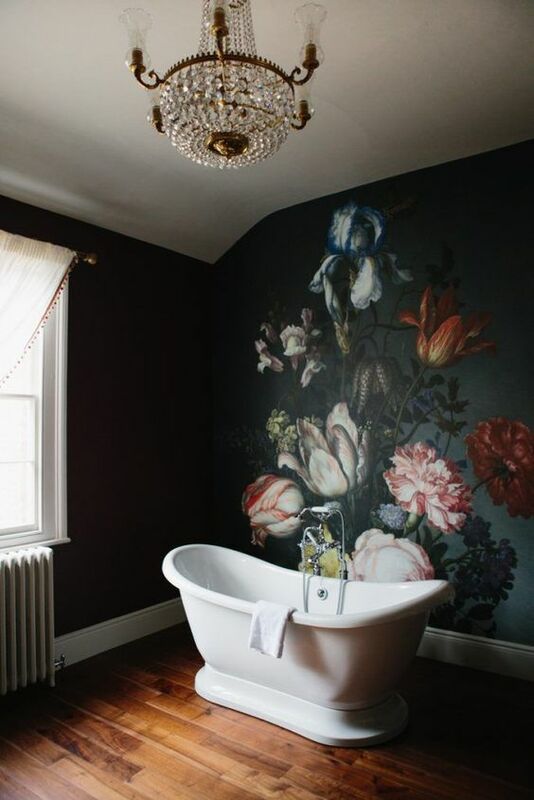 All the floral murals remind me of a very rich home! Not something I am comfortable living with! And they tend to be dark! Thanks for gathering these to share! The subject brought back some great memories of my mom, and the living room I lived with for a decade!!! 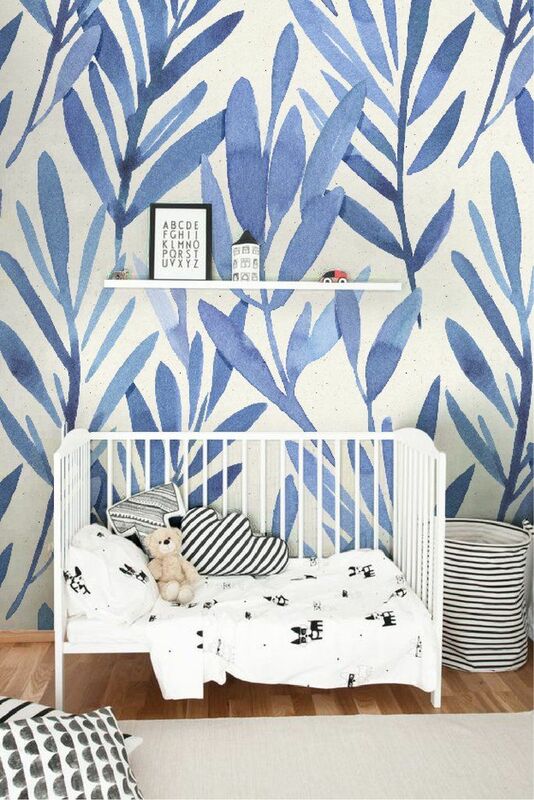 These wall murals are so stunning! 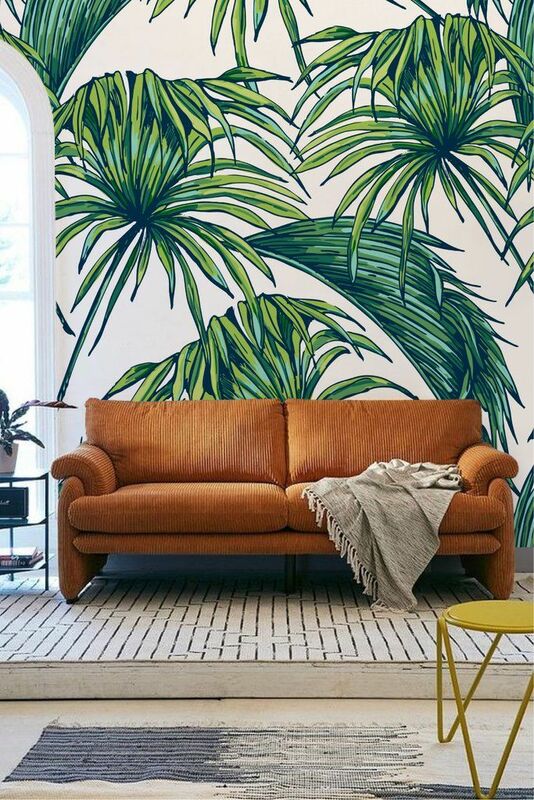 All of them, I’m not into wall murals but these are great inspiration!